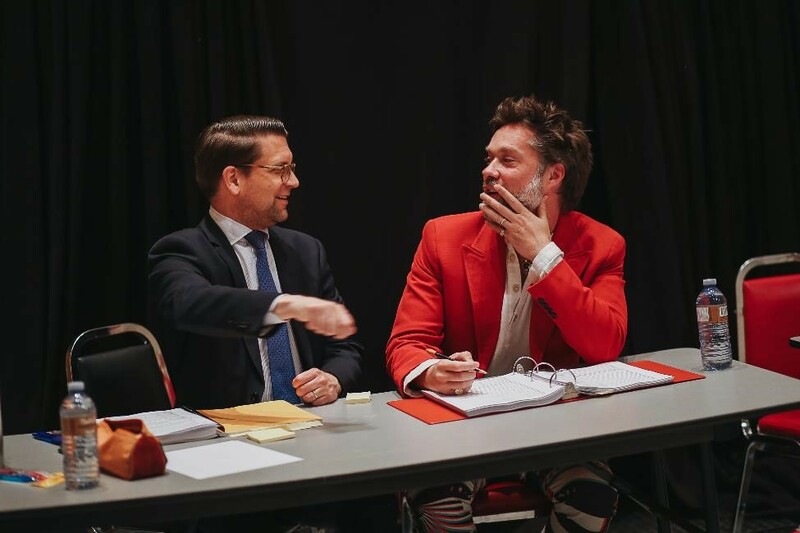 Hadrian, Rufus Wainwright’s all-new operatic creation, is days away from hitting the main stage. As all eyes train on Toronto for its highly anticipated world premiere, the Canadian Opera Company is hosting a conference called “Hearing Hadrian,” aimed at exploring the opera’s place within the larger context of the 21st-century and queer storytelling. Who was Hadrian and what makes his story a timeless classic for a modern audience? And how can traditional art forms, like opera, be reimagined to tell marginalized stories? “It will talk about where opera is going, where Hadrian fits in within the larger context of opera, and how really we don’t need to be scared of new compositions…we need to embrace them,” says Catherine Willshire, the COC’s Adult Programs Manager. Panels led by scholars of music, history and gender studies will explore the concept of sexuality in Ancient Rome, the history of Emperor Hadrian’s rule, and how the art form is using technology to evolve as a medium of storytelling. 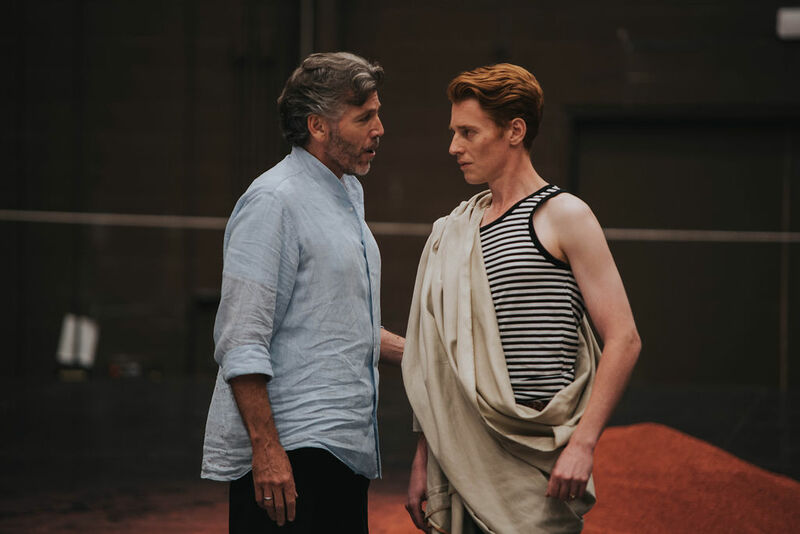 Singer-songwriter and composer Rufus Wainwright’s second foray into the world of opera—and the COC’s first full-length, mainstage world premiere since 1999—Hadrian tells the oft-forgotten tale of the eponymous Roman Emperor and his deep, unshakable love for another man, Antinous. It premieres at the Four Seasons Centre for the Performing Arts on October 13th. Tickets to the ‘Hearing Hadrian’ conference are free but require registration (note: event currently is ‘full’ but more tickets may become available as of Oct. 10…and you can line up for stand-by tickets the day of the symposium). For anyone curious about the brand-new opera, the conference is an opportunity to get to know one of the season’s most hotly anticipated original productions just a little bit better. Linda and Michael Hutcheon, provide an opening overview of the evolution of contemporary opera and Hadrian’s place within it, chaired by Katherine Semcesen, COC Associate Director of Education and Outreach. What happens when tradition meets technology? This panel, moderated by Laurie-Shawn Borzovoy, Projection Designer for Hadrian, looks at the future of opera and virtual reality experiments. In this talk, chaired by Don McLean, Dean of Music at the UofT, music history scholar Lloyd Whitesell explores how contemporary storytelling mediums are being used to represent the queer experience. Weather permitting, enjoy an open-air performance, just outside The 519, by artists of the COC Ensemble Studio. The Ensemble Studio is one of Canada’s most prestigious opera training programs and attracts some of country’s best emerging opera talent. Introduced by Wayne Gooding, opera scholar and former editor of Opera Canada, Cori Ellison provides insights into the diverse inspiration for Hadrian’s unique sound world in this work that bridges classical and pop traditions. Dive into the fascinating history of cultural perceptions of sexuality with classical studies scholar Kelly Olson. This lecture is chaired by Scott Rayter, Associate Director of the Mark S. Bonham Centre for Sexual Diversity Studies at UofT. Historically, Hadrian’s legacy has been deeply divisive. In this lecture, chaired by Caryl Clark, Professor of Music History and Culture at the UofT, classics scholar Andreas Bendlin examines the clashes of political and religious conflicts that form the backdrop for the opera. The team behind Hadrian’s world premiere shares how and why they got involved with the production, the creative challenges of creating a brand new opera, and reflect upon the experience of seeing Hadrian and Antinous on stage.